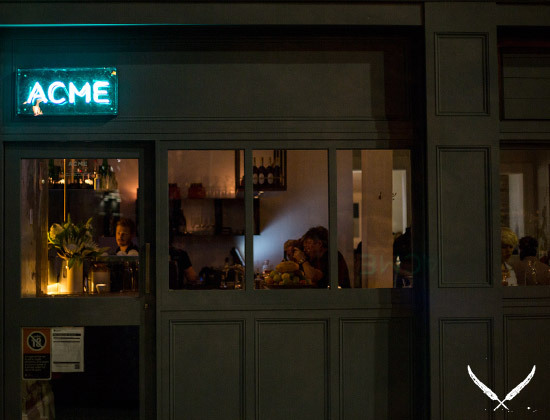 The restaurant's name, ACME, comes from the first letters of each of the owners' names—(A)ndrew, (C)am, (M)itch and (E)d. Clever, huh? 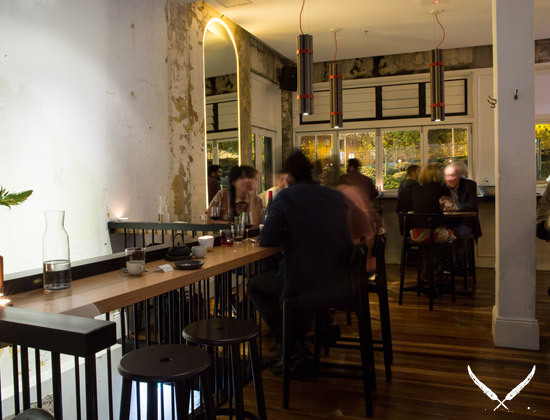 We got in before the crowds to see what's going on at ACME aka Sydney's newest (and potentially our new favourite) restaurant. Owner, Ed Loveday says, 'we wanted to create a super casual, seasonal (and affordable) neighbourhood joint with a focus on pasta. In Sydney if you want to have a great bowl of pasta you have to hit somewhere like Ormeggio or Pilu. But sometimes you don't want to pay $35 and go in for fine dining. We'd like ACME to fill that gap'. And fill that gap it does. With no pasta dish on the menu over $24, you can get some of Sydney's best pasta at a price that can make ACME a regular haunt. The sizes here aren't big, which means you can try a bunch from the menu, which, to us, is always a good thing. Who wants to commit to one dish? Not us. The menu is laid out in three sections—snacks and small plates, pastas, and desserts. We start with the rockmelon and prosciutto, which you'd imagine to be rockmelon wrapped in prosciutto, right? Wrong. We should have known better when Mitch Orr was involved. Instead, it's a brick of rockmelon that's been dipped in prosciutto crumbs. It was confusing and delicious at the same damn time. Next up came the baloney sandwich. (Editor's note: Don't get one to share. You'll want one of these bad boys all to yourself.) It's the kind of thing that you used to eat as a kid—piles of baloney with tomato sauce on a soft white bun. To put it simply, it was awesome. According to Ed, 'the pastas aren't super traditional. They're more like some of the stuff Mitch was doing at his pasta degustations at Buzo'. So basically, there's no spaghetti bolognaise here, guys. And if there were, it would be completely different to what you'd expect. There are seven pastas on the menu, all of which have a bit of a twist. 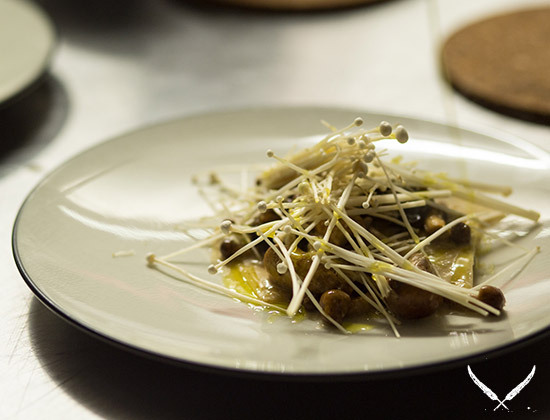 We opt for the linguine with black garlic and burnt chilli, which reminded us of yakisoba (in a good way). It had a great garlic taste without leaving you feeling like you could ward off vampires. Then came the mysterious sounding malloreddus (a pasta meaning 'fat little calves' in Sardinian), prawn and old bae. 'But what the what is old bae?!' we whispered incredulously to each other. Turns out it's a take on an American spice, Old Bay, used across dishes in the south, except ACME decided to make their own and avoid copyright laws by changing the name slightly. As you do. This dish was spicier than expected and packed full of flavour. It's definitely one to try if you're up for something a bit different. 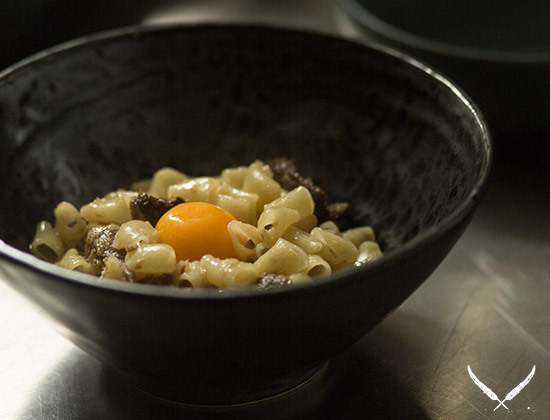 And finally, the unequivocal star of our dinner At ACME, the macaroni with pig's head and egg yolk. You get that homely comfort of macaroni mixed in with the saltiness of the pig's head and the runniness of the egg yolk. 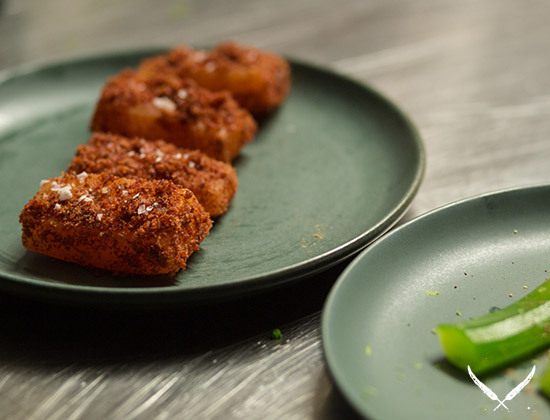 This is one dish we would come back for again and again. And again. There's a small but tempting dessert menu, so try to save space for the Malteser ice cream with candied bacon (erm, yum) or the nashi pear sorbet with rosemary meringue. With an impressive menu full of delicious pastas, gorgeous private dining for 15, downstairs, and a fantastic wine list complete with a knowledgeable (but not snobby) sommelier, ACME is one dynamite (okay, I'll stop) new Sydney restaurant and one well worth checking out. 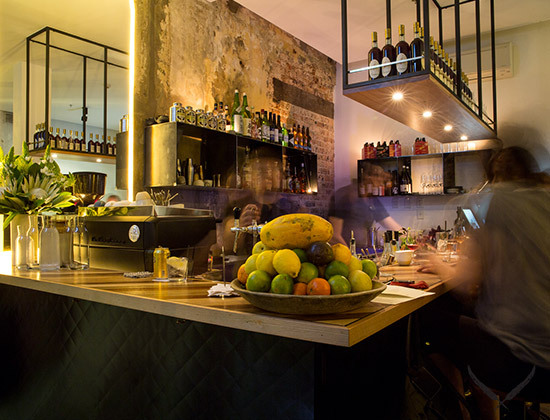 Looking for more of Sydney's best restaurants? Check out Restaurants and Cafes section!